The SPEAR Physical Therapy Team strives to live our “SPEAR-IT” Values every day. 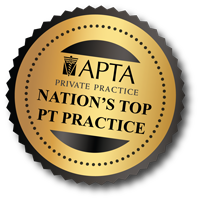 SPEAR PT exists to provide the discerning healthcare consumer with a distinctively personalized experience that achieves extraordinary results. We partner with our patients to provide clinical excellence paired with a 5 Star experience. The results are healthier patients who have achieved their goals. SPEAR PT is a place where everyone is treated with dignity and respect.